Vape Shop Certification is a turn-key employee training solution that helps your shop become more compliant and prepared for FDA inspections. From battery safety to a complete history of FDA regulations. Have more confidence that your employees are taking care of customers and protecting your business. Train your employees in less than one work day. These self-paced training videos can be streamed from anywhere. After completing the in-depth quizzes, Each employee will receive a digital certificate of completion. "retailers with an approved training program are subject to lower maximum penalties than retailers without such programs. Section 103(q)(2)(B) of the Tobacco Control Act defines “approved training program” as a training program that complies with standards developed by the FDA for such programs." Most entry-level sales reps have no understanding of regulations in our industry. This module covers a brief history of FDA regulations followed by explanations and guidance on what the FDA expects them to know. Batteries sometimes explode. You need to know how to protect yourself and your customers. This module will cover proper battery safety training, dealing with battery claims, and product liability insurance. Once you know how to prevent accidents and potential problems, your business will be more protected. Customer service is the key to a high-revenue vape shop, but remaining compliant AND maximizing sales is difficult. This module covers how to properly refuse underage sales while also keeping customers happy. Discover the secrets of effectively balancing compliance, customer service and sales in the vape industry. Vape shops are uniquely positioned to inform customers about important vape-related laws and regulations, yet rarely do we see proper support from consumers. This module teaches your employees all about the advocacy history in the vape industry and how to get involved. The vape industry is constantly under attack by fear-mongering tobacco control advocates. Be the solution by encouraging your employees to talk about important issues. Social media is a cost-effective and straightforward way to promote your vape shop. However, there are certain things you need to watch out for, posting schedules you need to pay attention to, and legal matters you must consider. We will go over all of those in this module. If you want your business to remain relevant and interesting to customers, you have to keep up with the trends of your industry. Some shops decide to expand into Kava, Glassware, Kratom, CBD, and Cannabis. In this module, we will discuss the rational and practical aspects of those expansion opportunities. Even if you’re running an established vape shop, it takes a lot of time, effort, and resources to stay compliant. Regardless of your experience as a vapreneur, you are bound to run into hiccups and roadblocks. When you sign up for Vape Shop Certification you are also joining a community of other compliance-minded vape shop owners that are determined to fight back against the bastards trying to regulate our industry out of existence. Without an organized and up-to-date training program, you are relying on your employee’s competency to protect you from an FDA violation. When your staff is not properly trained, you are constantly in danger of higher monetary penalties from the FDA. When you have a vape shop, there are several hurdles that you are bound to run into. The amount of time and resources you have to spend training new employees is overwhelming. The challenge of adapting FDA’s guidelines to the day-to-day operations of your vape shop. Dealing with sales reps who don’t understand basic customer service and compliance. Customers ignoring user manuals and blaming you for battery explosions. Adults trying to buy vape products for their underage friends or siblings. But, as disconcerting and discouraging as these might be, they aren’t good enough reasons for you to quit your dream! If you’ve wondered what it would be like to have complete confidence in your staff’s ability to take care of your customers; or you just want more clarity on what you should be doing right now in your shop to stay compliant — Vape Shop Certification will certainly help. Every vape shop owner, manager, or employee can benefit from this training. This will help you earn that promotion. After all, knowing everything there is to know about a vape shop will help you to be prepared for everything. Learning how to train your team, how to check if everything is in accordance with regulations, and how to overcome problems will make your job much easier. Acquiring the certification will help make your business a stellar success you want it to be while rounding up your knowledge about every relevant subject related to your vape shop. GET YOUR VAPE SHOP CERTIFIED TODAY! used our training to improve their businesses. Here are their testimonials. "I was considering starting my own vape shop when I saw how popular they were. But I was unsure about regulations and potential legal issues. Thanks to this training, I gathered all the information and started my own business." "I started a vape shop a year ago, but as the shop grew, I started spending a lot of my time micromanaging my staff. I didn’t know how to pass on my knowledge and teach them how to handle customer relations. Once I got the right tools through this training, it was a lot easier. Now, I can even leave them alone in the shop!" "Being an entrepreneur was always a dream of mine. When I quit my 9 to 5 to start a vape shop, I was worried. The business was slow, time-consuming, and resource-draining. These modules taught me how to manage my business, how to adapt to changes, and how to advertise." Help your business grow and advance. Don’t wait for your competition to run you over — Sign up now. teach you how the best vape shops on the planet train their employees. Phil advises trade associations & served as the CEO, Chairman and President of the Board of Directors for The Smoke Free Alternatives Trade Association (SFATA) from 2012-2015. Alex Co-Founded CASAA in 2009 In response to The FDA Directing customs to seize shipments Of vapor products coming from abroad. CASAA currently counts more than 220,000 vapers and members. Riley Legaspi manages social media for some of the biggest players in the vape industry. He’s an expert in. Social Media Marketing & Management, Brand Development, Targeted Campaigns, Influencer & Affiliate Marketing and Content Creation. Sarkis co-authored and improved insurance policy language which gives coverage to vapor products. He constantly works behind the scenes to ensure that vapor products remain on the market and has lobbied the congressional offices on more than a dozen occasions with SFATA. Not Blowing Smoke is a consumer led non-profit organization founded in August 2015. Prior to that, Stefan was involved in vapor advocacy efforts both on the consumer and business side. In 2017, Not Blowing Smoke fought over two dozen flavor bans in California and successfully got several to be completely cancelled. Jesse is a lifelong entrepreneur and business strategist. He holds an economics degree from the University of Utah and an MBA from the University of Phoenix. His efforts as the Digital Marketing Director of VapeMentors has helped educate hundreds of vapreneurs in modern and traditional business strategy. First store opened in El Cajon, CA September 2013 Second store opened in San Diego, CA January 2016 Molly is a customer service and sales expert and consistently gets five star reviews at her vape shops in Southern California. Tracy practices in the areas of advertising, data protection and intellectual property. She has an expert understanding of how the law affects a company’s efforts on Social Media and online marketing. Norm has personally coached dozens of entrepreneurs who are starting brick and mortar stores, designing vape hardware and developing new lines of e-liquids. He also works with smoke shop owners entering this new and fast-growing industry. Most of his stores generate a five-figure revenue in their first month of business, and are developing expansion plans by month three. If this training platform doesn't help you automate your employee training within 30 days, then we don't deserve your money.We spent nearly all of 2018 helping more than 50 entrepreneurs start a vape shop training program, so we know the pitfalls most people face. The VapeMentors team compiled our experience into the most complete training program for vape shop managers and employees available today. But, even so, we realize it's probably not for everybody. And that's OK. So, if for any reason you don't see results in your vape shop training efforts within the first 30 days, please feel free to email me. I will personally return your investment. Whether you already have a vape shop, or you’re just starting out, this training program will help you immensely! Price per shop owner. Pay once and train all your employees, even if you have multiple locations. You can complete this self-paced material in less than one workday. 6 hours of lectures. As long as Vape Mentors is training business owners! 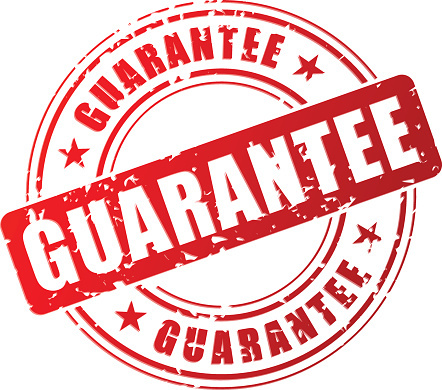 We offer a no-questions-asked 30-day money back guarantee. How will this help my vape shop stay compliant? A well-trained staff is your best defense against the FDA and local regulators. The vape shop certification will help you train your new and established employees. Why not just train my employees myself? You are welcome to and many shop owners do. However, by using our platform, you can let us take care of the training for you so you can focus on your business. We’ll update the training when regulations change. And we are adding state regulations in 2019. Plus, each employee will receive a certification, meaning you’ll have a digital and paper record of your training activity. Something the FDA will look for if you’re ever in trouble. Vape Mentors provides courses, training, and consulting to people and businesses in the Vape Industry walking them step by step to success.